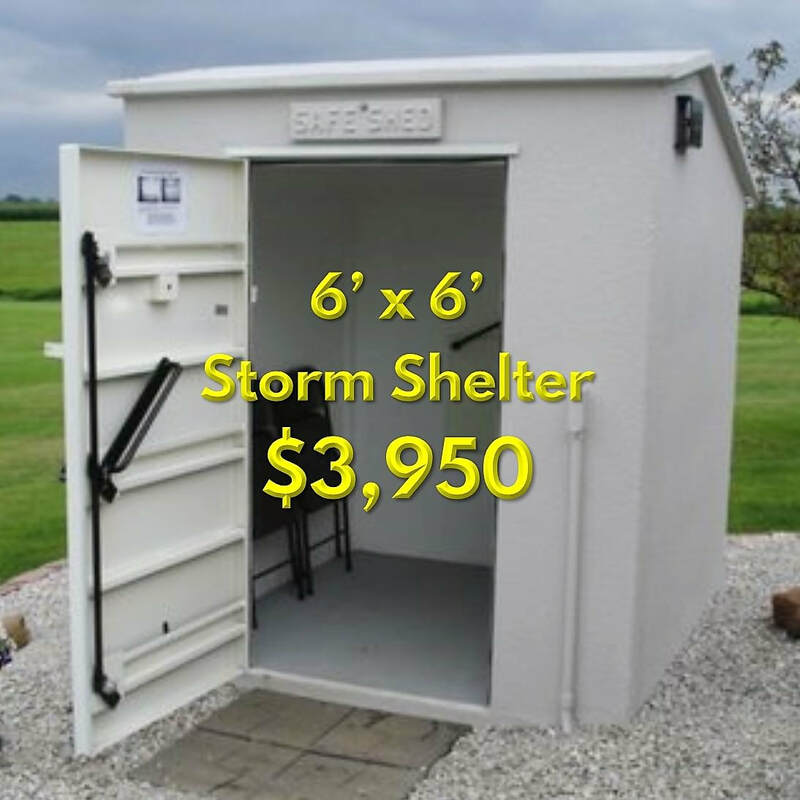 Concrete Tornado Shelter - Safe Sheds, Inc. Concrete tornado shelters from Safe Sheds offer several advantages to your family: 4" thick, steel-reinforced walls are proven to stop huge, tornado-thrown debris; the spacious interior gives you room to relax and shelter for several hours as major storm fronts move through your area; and concrete tornado shelters are less expensive than many other types of shelters. With a poured-in 6" steel-reinforced floor, a Safe Shed tornado shelter doesn't require an added concrete pad for installation, either, saving you even more money. Room for furniture or bedding, pet cages, and emergency supplies. 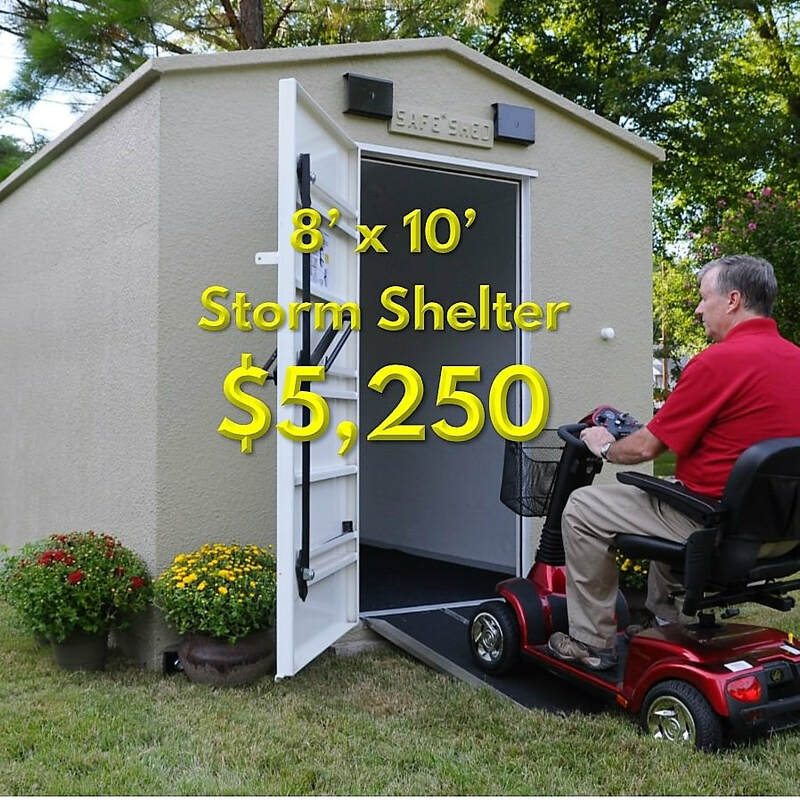 Learn more about customizing your Safe Shed tornado shelter! We've been building our concrete tornado shelters since 2002. 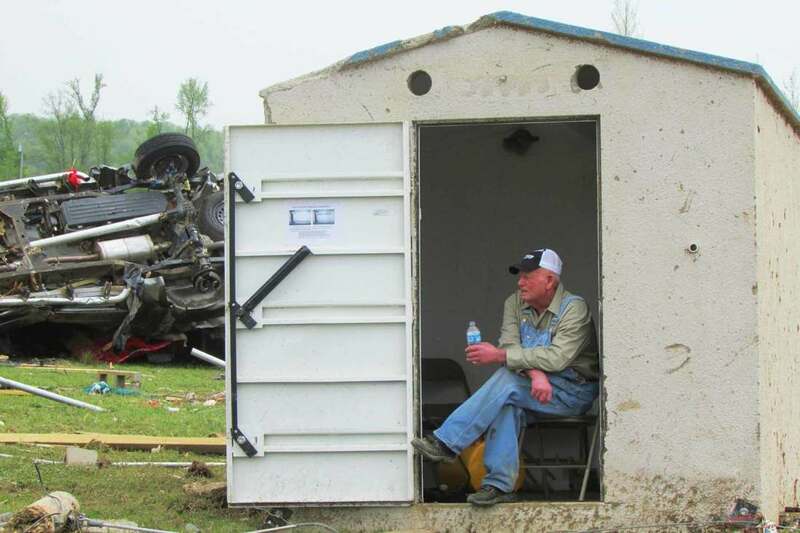 Safe Sheds shelters have been tested to make sure they meet or exceed FEMA 320/361 engineering standards. And they've been tested by the toughest judge of all - Mother Nature!